All our products are hand-crafted in Nepal. The wool for the manufacturing process is stemming exclusively from Himalayan Chyangra cashmere goats, native to the country. The cashmere pashmina wool is obtained from the fine insulating undercoat of the goats, which they naturally shed during spring and summer. The downy, soft tufts are collected by hand from bushes and elsewhere the goats have shed it, as well as gently combed out from their undercoat. After the fleece has been properly washed, remains of the coarse top coat are removed by hand to single out the fine fibers of the undercoat, from which the yarn is spun. 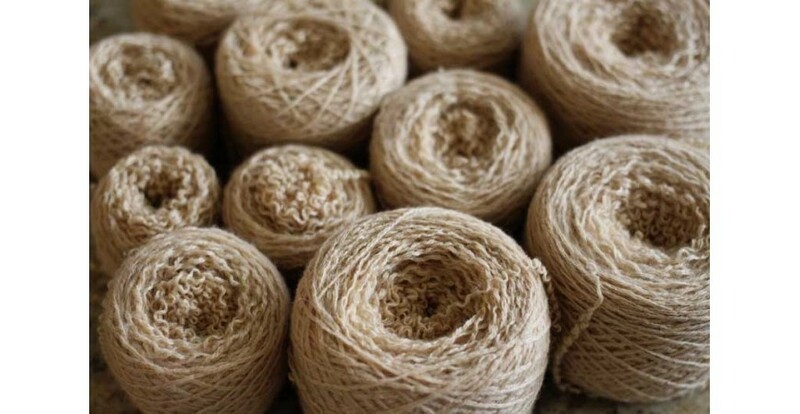 The fibers are carefully sorted by thickness, length and color to extract the finest, longest and whitest, which are considered being the best quality. During the spinning process, the fine fibers of hair are hand-spun into yarn. Their delicate structure do not allow for machine spinning. The fibers are spun into different categories of yarn, ranging from single-ply to four-ply. The individual categories of yarn are used to create different thicknesses of weave. Thereafter the yarn is dyed, to obtain the desired colors. In its undyed state, the natural colors of cashmere range from shades of white, cream, brown and grey. Finally, the yarn is woven into different fabrics of weave on handlooms, like the checkered basket or the diagonal ridged twill designs, belonging to the original weaving styles. The jacquard weaves include herringbone, diamond and tapestry as well as other designs.